How to Sing Adele’s Record-Breaking Song Hello, like a Pro! While Adele continues to conquer the world with her brand new album 25, something rather interesting happened the other day. A record producer stepped into my studio wanting to learn how to sing Adele’s smash hit song Hello, because he’d been recording himself but felt his voice needed an extra something to nail Adele’s incredibly powerful range. I listened to the track he’d recorded and yes, too right he was. His voice would need some work to get there. If this sounds like you, then this article will talk you through the simple steps you need to take to get your vocals to those dizzy yet powerful heights that have now become synonymous with our darling songstress, Adele. Now let’s agree on one thing, singing any of Adele’s numbers isn’t child’s play. Not by any stretch of the imagination. Without proper training, chances are you’ll be puffing and panting, and screaming and shouting through her songs… and going nowhere. So how does SHE do it? Do you want to know the truth? Well, talent alone certainly doesn’t cut it. 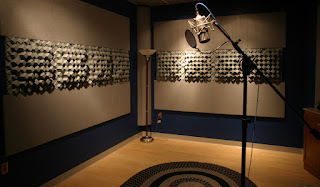 However, training in speech level singing technique does. So now that we know what the solution is, let’s get you started with acquiring the skill to cut the mustard with Adele’s Hello. Let’s begin by analyzing the chord progression of the song and what needs to be done to deliver the song. Adele’s Hello begins with a warm low note that sticks to the heavier, edgier side of the chord. How to achieve this is to hum your scales with that edge in your sound. But you shouldn’t feel any build up of air pressure. Your tone must remain even or connected all the way up and all the way down. If too much air pressure starts to build, your voice will get stuck and you will start to squeeze your tone. You should feel as if you’re using just a little piece of the chord—just the inside edges. As you learn to do it better, you can involve more and more air and chord, as long as the muscles outside your larynx don’t start to interfere. Try doing intermittent checks under your jaw with your finger, to make sure those muscles aren’t tightening up. "Hello from the other side, I must have called a thousand times" takes the song to a whole new dimension all of a sudden. Have you ever heard the term ‘sounding chest in your head voice’? To achieve this, you’ll want power that resonates in your upper range inside your head, but with the same strength and tone as you would in your lower range. Vocal training exercises that begin with the lip rolls and tongue trills will prepare the voice to navigate your range with more ease and comfort. When you’re well developed using these, you can step into humming and working with single vowels like AAH, wherein AH becomes UH (UUH/EER) to begin with, to help induce the head voice. Once you’re working comfortably with this, the next step is to work with the straight AAH sounding vowel. Now let’s take a look at Adele’s impressive high pitches. When her octaves kick in with “To tell you I'm sorry for everything that I've done” and “But when I call you never seem to be home,” you’ll need to pay close attention to the way she delivers her octaves with “Tell, I'm, I and Anymore,” the latter appearing towards the end of the song. The surest way to achieve this is to do vocal exercises with octaves, to develop that fluid connection from chest to head. It really is that simple. But you have to do these exercises regularly. To give you an idea, if you train every single day for 10 days (well, no harm if you took a break on Sunday), chances are you will be able to nail Adele’s song Hello like a pro. In the United States, tickets for Adele's back-to-back shows next July (2016) went on sale to the public at 10 a.m. Thursday – both online at Ticketmaster.com and in-person at the Xcel Energy Center box office. Not long after, all tickets to both the July 5 and July 6 shows were gone. Mike Nowakowski, a partner with Ticket King, said he's never seen demand quite like this. "Today has been crazy," he said. 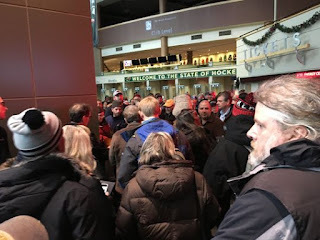 "Ticket King has been in the Twin Cities for 25 years and I have never seen a ticket that has been sought after as much as these Adele show tickets." Fans even looked at neighboring concert venues but didn't have much luck there – Chicago's three shows sold out in less than an hour. Better yet, tickets to Adele's 56 date North America tour were all gone in an hour. Other ticket brokers like StubHub! showed Adele tickets selling for anywhere between $350 to the are-you-kidding-me price of $9,000. Tickets on craigslist and eBay are going for as high as $48,000. 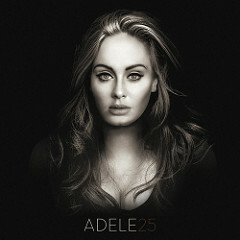 He said their previous biggest seller -- the Hannah Montana concert -- "pales in comparison to the demand for Adele." And according to a report on ABC Action News, there is a ticket war that has outraged Adele fans across the country. I was having an interesting conversation with one of my pupils the other day, and our chat pretty much centered on how times have changed in terms of what music industry pundits THINK is good for the final consumer—the fans—and how they would do all they can to enforce their will and half cookie products upon us (well, it certainly doesn’t work on me!). Snide remarks from people in the music industry that goes, “who cares if an artist can’t sing, it’s all about the packaging and perception” make my skin crawl. Well, WHY then is Adele everybody’s favorite? Is she ultra slim and parades around in skimpy clothes? Is that it? Is that why they’d pay up to $9,000 a seat to see her in concert? Is it because she lip synchs in concert? Get real! Her voice is her power. And that’s what the people want. They want something that is real and authentic. I’m sorry to burst your bubbles, guys. But let’s call a spade a spade. Don’t get me wrong, I’m all for the advancement in technology. It is good for the industry. Hey look, I make music in London and LA without even stepping on a jetliner, that’s thanks to technology. But if you want to be a singer, go out there and BE a singer. Don’t depend on technology to fix it for you. And if you’re dumb enough to think the public don’t care, well, Adele is your wake up call. People do give a damn! If you're planning to audition for Airtel Trace Music Star Season 2, then you've certainly come to the right place. If you're in media and looking for great content, then once again, this article is most definitely for you. My name is Joett. I trained Tanzania’s Mayunga, the winner of Airtel Trace Music Star Africa 2015. Mayunga went on to cut a record on Universal Music, and just recently, he returned from a week-long mentorship program with mega star Akon in Los Angeles, California; where he also recorded a song with Akon and shot the music video. Season 2 is upon us, coming up in the New Year, and I thought it would be of great help to youths and would-be contestants across the African continent, to get a little more information and technical know-how on how to train the voice from the comfort of your own home, in preparation for the upcoming 2016 auditions. I’ve written many articles on this topic, but I think the best way to get started is with my article Top 3 Steps to Successful Singing Lessons for Beginners. This article will guide you through the process of vocal training from home, and it will also provide you with a link to my Product Review article wherein you can download some powerful piano scales to work with. If you want to improve your singing voice, badly enough (to get in with a chance to win the competition), then this is exactly what you need to do. I cannot be all over Africa at one and the same time, but I surely can share some of my learn-to-sing products to help you achieve your goals. The only thing you need to do is to get started TODAY! 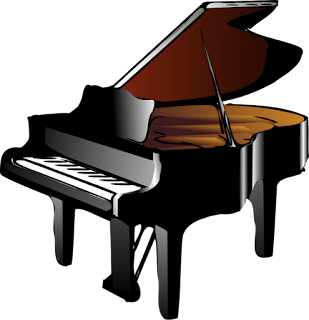 To begin downloading vocal training piano scales, click here. 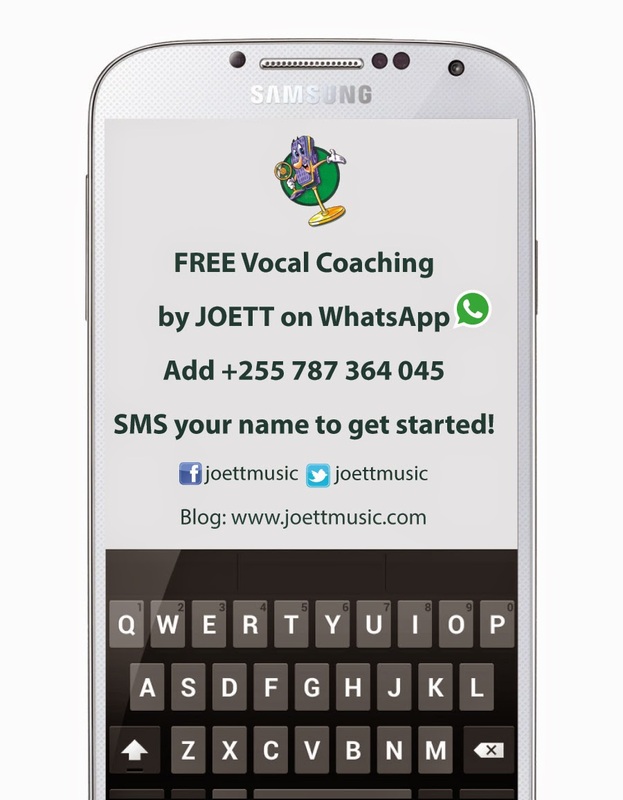 My column, Letters from A Vocal Coach, which is published in Tanzania’s Business Times newspaper every Friday, is linked back to my blog, social media, YouTube channel and my free helpline on WhatsApp. The reason I started this column just over year ago, was to avail information appertaining to the art of singing like a pro. I am currently inviting newspapers from across Africa to get in touch with me. On request, I will send out a zip file containing some newspaper clips to help you get the feel and look of my column, and the direction of my content; with a view to print media consideration for the syndication of my column. I am confident that this will greatly benefit your readership in your respective local communities. I feel it would be the perfect vehicle to helping readers across Airtel Africa, gather information and tools for learning how to sing, from a vocal coach who has done it for Tanzania and made a huge success of it—with Mayunga—Airtel Trace Music Star Africa Winner 2015. In Conclusion: for those of you singers out there that have often wondered what the best ways to preserve the voice were, I've got you covered. And this is especially key for those of you planning to enter the Airtel Trace Music Star Season 2 singing competition. I'm certain you will find most helpful, my most recent article on vocal health... How to Boost Your Vocal Health with POWERFUL Antioxidants And EFFECTIVE Vocal Fold Hydration. Do feel free to contact me, should you have any questions or require any assistance. As a vocal coach and a mad-about-health enthusiast, I would often take it upon myself to give information to others to help them get their house in order. Oftentimes, people would consult me on how to preserve the voice. In a recent radio interview, the first and only thing they asked me was how to look after the voice. Well, today I want to talk about an all-the-rage antioxidant-rich fruit called the acai berry. There are numerous healthy berries out there that would indeed be a great addition to your diet, but an indigenous berry commonly found in the rain forests of the Amazon, is one of the healthiest berries you’ll ever find. The acai berry benefits have been heralded for centuries as healing, immune-stimulating and energy-boosting. Research has shown that this antioxidant-rich berry may be able to fight the health problems associated with oxidative damage (responsible for aging the body), and it also has many other health benefits. Similar to red wine, research has established that acai berries are extremely high in anthocyanins, a form of plant antioxidant associated with the ability to lower cholesterol levels in the blood stream. They also provide cardio-protective benefits to our cells because they’re rich in plant sterols. It does this by preventing blood clots, improving overall blood circulation, and relaxing the blood vessels. 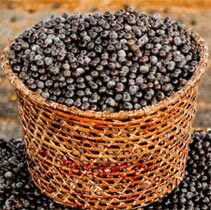 Known by nutritionists as a super-food, not only can the acai berry help us maintain a healthy weight, it can also help us lose unwanted weight. I don’t know if you are aware that, currently, many modern beauty products are carrying acai oil due to the oil’s high antioxidant content. A great natural alternative to chemical based skin-care products, acai oil does wonders for the skin and does not harm it in any way. Ingested, the berries are known to give your skin a healthier glow (this has happened to me, so I am a walking, talking, breathing testimonial of its incredible power). 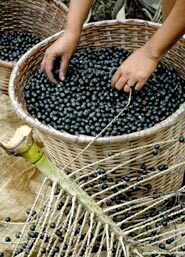 You will be amazed to discover that Brazilians have been eating acai berries for centuries to treat skin conditions. Some of the other acai berry benefits include: keeping our digestive system clean and in optimal function. (The berries have powerful detoxification capacities in the human body and are a well-known traditional source of dietary fiber); reducing typical irritation associated with respiratory distress; improved Cellular Health to help keep cells strong against the invasion of free radicals (the little monsters that age our body); immune boosting benefits including the reduction of cancer cell proliferation by 56-86%. The acai berries are not a cure for cancer, but do play a potential role in the fight against cancer. Extremely high in many forms of plant phytochemicals (antioxidants), acai berries may contribute to an ability to slow or even reverse typical processes of aging related to oxidative damage. And so with all of this nutritional value added to your daily diet, your voice is also preserved and protected. Isn’t that wonderful? And you don't have to ship in the acai berry from South America to harness everything it has to offer. This day and age, where science is moving forward with unprecedented speed, they've managed to wrap everything up for us in a bottle. 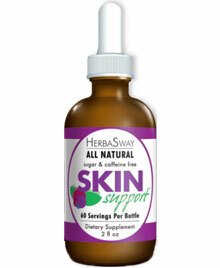 Contained in a small bottle, SuperSeven—which includes Acai--Anti-aging, rich in Anthocyanins and Flavonoids—blends seven potent antioxidant super-fruits into an antioxidant herbal tea that promotes healthy and radiant skin, and preserves your vocal instrument. For more information, and to purchase this amazing product, click here! Your voice is not something isolated from the rest of your body. Singing involves the coordination of many muscles—whether it's the muscles of breathing, or the muscles in your larynx. These muscles can get tired, weak, and out of condition from lack of general physical exercise and/or poor nutritional maintenance. The overall health of your body is always the primary consideration for good vocal health. To give your voice the best opportunity to function at its maximum level of efficiency, your body must always be functioning at its maximum level of efficiency. As a singer, you should maintain a daily program that not only conditions your voice, but also helps to keep your body fit, rested, and well nourished, for both your health and physical appearance. You must also use good posture, avoid bad vocal habits, and be aware of any other factors that may affect the well-being of your voice. According to a report on the role of hydration in vocal fold physiology, recent findings suggest "Systemic, superficial, and combined drying challenges increase aerodynamic and acoustic measures of voice production in speakers. Emerging theoretical and clinical evidence suggest that increasing both systemic and superficial hydration levels may benefit voice production." In summary therefore, according to this report, "Increased systemic and superficial vocal fold hydration as a component of vocal hygiene may improve overall health and efficiency of the vocal apparatus." Your larynx, like any other organ of your body, is composed of living tissue, which makes it susceptible to injury and abuse. Often, you can abuse your voice without even realizing you are doing so. Things you do can directly or indirectly affect the healthy functioning of your voice. They can be just as harmful as using poor singing technique. Stimulants and depressants, whether or not prescribed by a physician, can disrupt your neuromuscular system, reducing the ability of your vocal cords to function as you would normally expect them to. Smoking: Besides containing chemicals that can cause muscle and nerve problems, smoking dries out the mucous lining of your vocal cords. Without this natural lubrication, the edges of your cords can swell, making vibration very difficult and allowing air to escape unused. And it doesn't matter whether it's your smoke or someone else's. Eating before singing: It is suggested that you don't eat before you sing. After a meal, your body tends to slow down, because the body's energies are directed toward diges-tion. This inhibits your mental alertness and the vocal coordination you require during a rehearsal or performance. Also, the excess mucous that secretes onto your vocal cords can interfere with the vibration process itself. Shocking your cords: Excessive coughing, sneezing, forced throat-clearing, and starting your tone with a sudden burst of air can strain or even damage the delicate muscle tissue of your vocal cords. Using excessive volume: When you can't hear yourself sing—or talk for that matter—there is a tendency to overcompensate by using more muscle to control your larynx, which in turn requires that you use more air to move your cords. A muscular "battle" soon begins to take place between your vocal muscles (in your larynx) and your outer muscles to resist the escalating air pressure. This leads to hoarseness and added tensions that cause the muscles in and around your larynx to become sore and painful. When people ask me what the best ways to preserve the voice are, my answer is always nutrition nutrition nutrition and DON'T abuse your body! Excessive alcohol consumption, drug abuse, cigarettes and freezing cold drinks will do damage to your voice. So avoid damage to your vocal folds, by eliminating any of those excesses. Try to focus more on getting some good nutrition to boost your vocal health, and remember that good hydration--drinking lots of water, a minimum of 2 liters a day--is great for the vocal chords. And I've taken the liberty to share with you the highly effective nutritional antioxidant supplement I like to add to my water every day because it tastes delicious and ads a lovely flavor to my drinking water. It also has a lot of nutritional benefits, not only for the vocal folds, but also for your entire body. At a glance, preview details below, or click here! 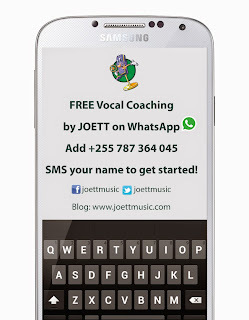 I’m going to draw inspiration for this article from my personal experience with giving singing lessons to my pupils via my free WhatsApp training program. It has given me a lot of food for thought as it were, because for some reason, some of my pupils’ inability to follow instructions, as it happens, is the number one challenge I face. Don’t get me wrong, not ALL of my students are like that. However, an increasing number is, and this is reason enough for concern. In this article, I will aim to analyze the reasons why I think this is happening in the first place, and how—if this is happening to you—turning things around for yourself can be as easy as three simple steps. Let me begin by reiterating one small detail that some of you home learners may be overlooking. Doing the scales isn’t about shouting your way to the top of your range—in fact you don’t get there by shouting. It’s about working with the piano—in key—to ascend and descend through your range. So if this isn’t happening, then spend as much time as is necessary to figure out what the demonstration tape is illustrating with voice and piano. So be sure to have a good listen to ensure you have full understanding of what is going on. I’ve received hideous voice notes from some of my students—quite alarming to say the list, and completely off the rails. And that’s putting it mildly. So use your ears. Listen and observe, in order to understand what you’re required to do. I’ve mentioned this before on numerous occasions. If you’re doing your scales off the headset on your phone, don’t expect results. Because you’re training a couple of things at the same time here, your voice and your ear. 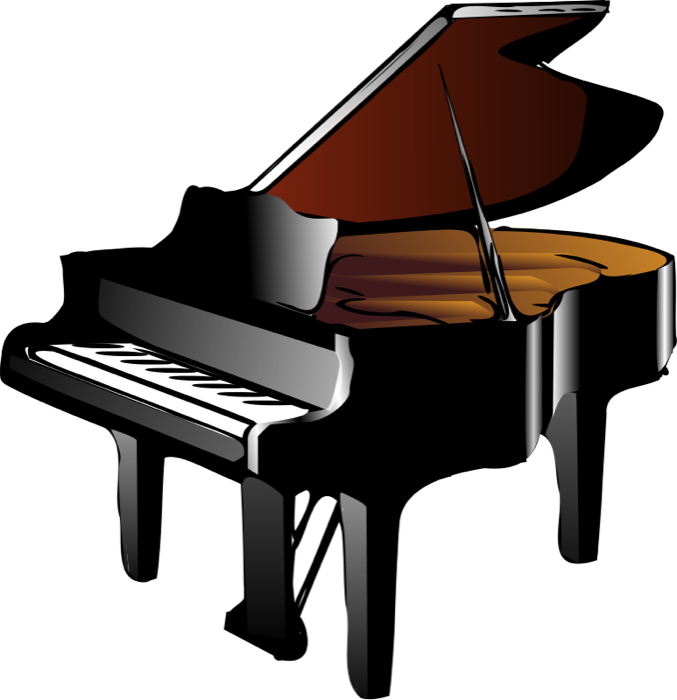 Your ear has got to hear the sound of the piano for the voice to replicate, and vice versa—in that you need to also hear your voice in order to know whether or not you’re singing in key. So imagine what you’re going to hear when your ears are plugged. Oh yes, you’ll be missing out on one of the most essential elements in voice training—your ear. And here comes the solution. Use a sound system. But be careful. The last thing you want is a large PA system. It’s too big. Something like a home theatre or a boom box would suffice. Because the decibels have got to be on the level of a human voice for you to get the full benefits of your vocal training with the prerecorded piano. And do your workout inside a room. Never do your training outside, in open spaces, like the beach. That would be the fastest way to ruin your voice. Imagine not hearing yourself at all because of the wind and the sheer vastness of the space you’re in? You would end up shouting. 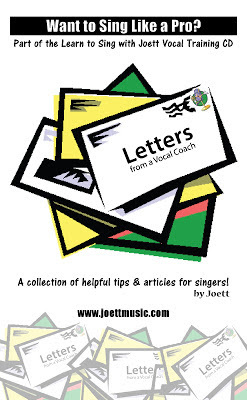 If you’re the kind of person that wants to acquire my recommended vocal training programs to guide you to successful singing lessons, read my article Joett Vocal Training Product Review for Home Learning.